A silky-skilled midfielder who was drafted to the Brisbane Lions with Pick No. 7 in the 2013 National Draft, Aish was a prodigious talent as a junior, renowned for making good decisions and using the ball well. He seamlessly slotted into the Brisbane midfield in his first year at the club, playing 21 senior games. 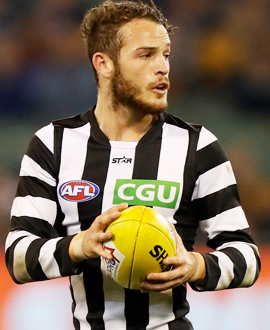 This number was cut back to just 11 in 2015 before the South Australian opted to request a trade to Collingwood.